Your vanity mirror is most likely the centerpiece of your bathroom. When it comes to the appearance of your bathroom, it is important to keep your glass features clean, and your mirrors should be a top priority. However, cleaning glass can be trickier than people think. Most of us have cleaned a mirror or glass feature, only to come back 10 minutes later and see streaks or smudges. 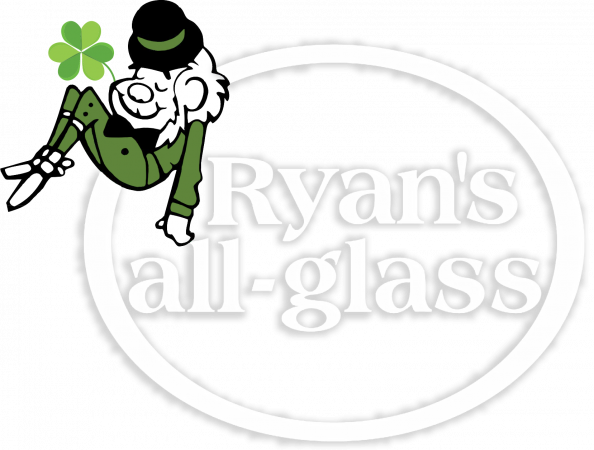 Ryan’s all-glass wants to give you some tips to avoid those pitfalls. In today’s blog post, we will take a look at how you can keep your vanity mirrors clean. These mistakes are often the difference between a shiny, like-new vanity mirror and one with smudges and stains. Using the wrong towel or cloth is arguably the most common error. Many people like to wipe down mirrors with a towel post-shower when the mirrors are steamed up, but this can lead to streaks. Using the wrong cleaner will also fail to create a great shine. The most important aspect of glass cleaning, in general, is using the right tools and techniques. You will need the right cloth, ideally a microfiber cloth. However, if you are in a pinch, you should use a strong paper towel instead of a shower towel or washcloth. You will also need the right cleaner, specifically a glass cleaner. Ryan’s sells glass cleaner in our show room. These cleaners are designed to loosen and dissolve stains and debris without streaking. They will also keep your mirror clearer, with a like-new shine. If you are in a pinch, you can use a white vinegar and water solution instead of store-bought glass cleaners. Your technique also matters when cleaning a vanity mirror. You will want to avoid over-applying the glass cleaner, which can lead to streaking and dripping. Utilize a z-motion with your cloth as you wipe. With this motion, you will slide the rag from the top left corner of the mirror to the top right corner and then back to the left side at a slight angle, working your way down. The right tools and techniques only work if you are cleaning your vanity mirror regularly. The longer you wait to clean your mirror, the more difficult it will be to remove stains and debris. If you wait too long, some of those stains can become permanent or require professional help. Cleaning your mirrors after using the sink also helps avoid the black marks mirrors get after years of water exposure. Maintaining your mirror will help it last for years to come. 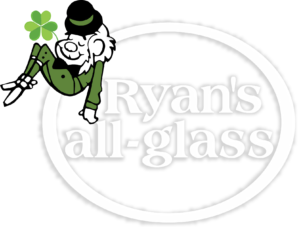 If you need glass maintenance tips, Ryan’s all-glass wants to help. For more information on what we can do for you, give us a call at (513) 771-4440 or contact us online today.